K9 Veterans Day - Get the Rare "Rudy" Tank! The U.S. K-9 Corps was formed this week in 1942. While dogs have been part of armies since time immemorial, they usually served as a squad mascot or in another unofficial role. Today, their role in military and police departments has saved numerous lives in World War II and beyond. As we salute the service of these courageous canines,you can pick up our rare and T34-85 Rudy, featuring the canine companion Szarik. Plus, there's several rewarding missions for the Rudy or the M41 Walker Bulldog! There's a Lot of Missions This Week -- How Do I Check My Progress? 100% Trained Crew with "Brothers in Arms"
The "Brothers in Arms" Skill for this crew is a zero-slot Skill and will not increase the Crew XP cost of additional Skills. This Crew will benefit from the "Brothers in Arms" Skill, but this Skill cannot be retrained to a different one. Play a battle and place in your team's top 5 XP earners. Play a battle in a T34-85 Rudy or M41 Walker Bulldog as part of a Platoon and destroy three enemy vehicles between you. 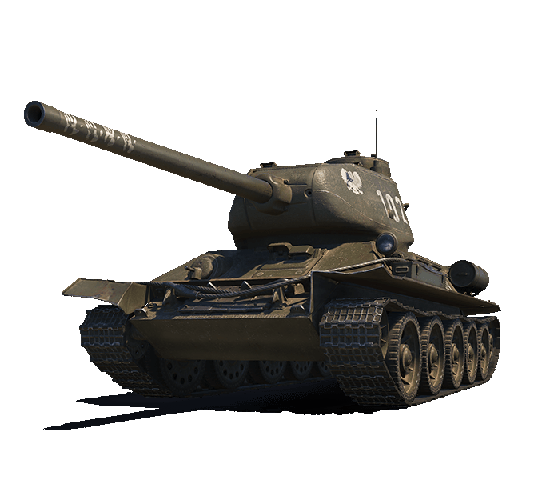 Playing in a T34-85 Rudy or M41 Walker Bulldog, earn 10,000 XP over any number of battles.